Those who suffer from chronic pain management know that there are hundreds of options, very few of which are effective at actually relieving their pain. If you have tried medication, physical therapy, surgery, or injections and still suffer from chronic pain, the solution may be as easy as spending some time using the latest treatment — laser therapy. Laser therapy has been used for pain management for decades in Europe to treat arthritis and back pain related to sciatica. Laser therapy utilizes the multiwave locked system (MLS) laser emission that synchronizes duel wavelengths of laser light to stimulate the cells where the chronic pain exists. Using continuous or pulsed laser stimulation, the MLS system targets damaged cells and inflammation to help promote healing, healthy cell growth, and reduce swelling. The multiwave locked system (MLS) laser therapy is also referred to as cold laser therapy. MLS uses two specific, therapeutic wavelengths — 808 nanometers and 905 nanometers. 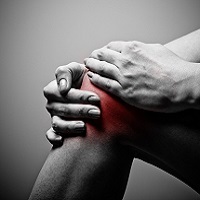 The continuous 808-nanometer lasers are used to help treat edema and swelling that causes pain and the longer, 905-nanometer pulsed laser, reaches deeper into tissues and nerves that are affected by pain. The combination of the continuous low emission laser and the pulsed longer wave offers more of a therapeutic benefit than a single low-level laser that has been used in other therapies. The synchronization of the combined energy strengthens the effects of each of the single therapies. The light produced by the laser is able to penetrate through the skin and other cells to reach the target area where chronic pain is present. The light is then absorbed and interacts with the light-sensitive components of the cells, where the reaction can be likened to photosynthesis. The light stimulation allows the cells to be charged with usable energy, allowing it to normalize damaged tissue and increase intracellular metabolism which results in normal, healthy cells, a reduction in inflammation and edema, and a reduction in pain. Using the MLS laser treatment system, patients are able to gain a lot of benefit in a single, short session. During the treatment, often patients feel either no sensation or there may be a slight warming of the area being treated, but there is no pain associated with laser treatments. Depending on the source of the pain and the size of the area requiring treatment, the length of treatment and need for additional sessions may vary. For chronic conditions, regular treatments may be necessary. With the M6 Robotic MLS Therapy Laser machine, a robotic device delivers the laser treatment for more accuracy and to offer a wider target area to be treated. 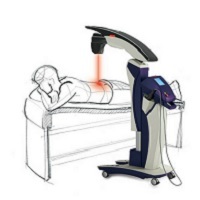 The technology included in the robotic laser application system helps reduce “scatter” of laser light, allowing a higher dose of laser therapy to penetrate to the affected tissue. The robotic features also help reduce human error and deliver the correct dose of laser therapy to the tissues. Laser therapy treatments have been proven to be useful in treating a variety of acute and chronic pain conditions caused by edema or inflammation as well as healing external wounds. When you select laser therapy treatment as an option for your pain management, you really have nothing to lose — except your pain! Treat all of your different pains and find relief today. At Select Health of the Twin Cities in Edina, we provide the most cutting-edge solutions for pain and regenerative medicine. Laser therapy is one of the treatment options that we are proud to offer as part of our main management and treatment options. Contact us for more information or to schedule your consultation.